Slow and steady wins the race. The latest in Boboli's denim collection is Tortoise Jeans. With an endearing logo and comfortable fit these jeans arrived just in time to give us a head start on the the adapting trend of embellished and patched denim. From strategic wear to shredded, distressed denim is showing no sign of going anywhere. 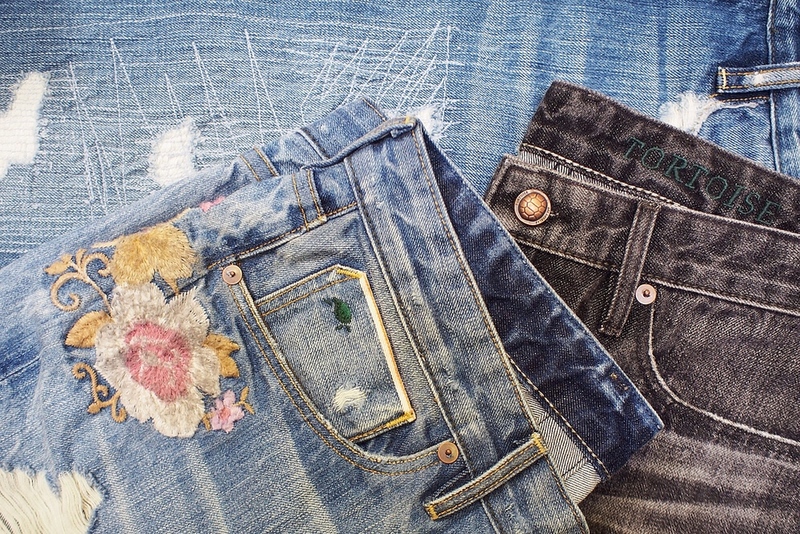 But as with most trends, perpetually worn jeans are changing with the times. Or more likely, what went around is coming around . . . again. Repairing (or dis-repairing) today's dungarees has gone beyond the matching denim with a hap-hazzard over-stitch way of patching. A resurgence of embroidered embellishment is slowly creeping back into the main stream thanks to street style spotters. Your torn denim just got a little floral and fancy. Have fun with it!